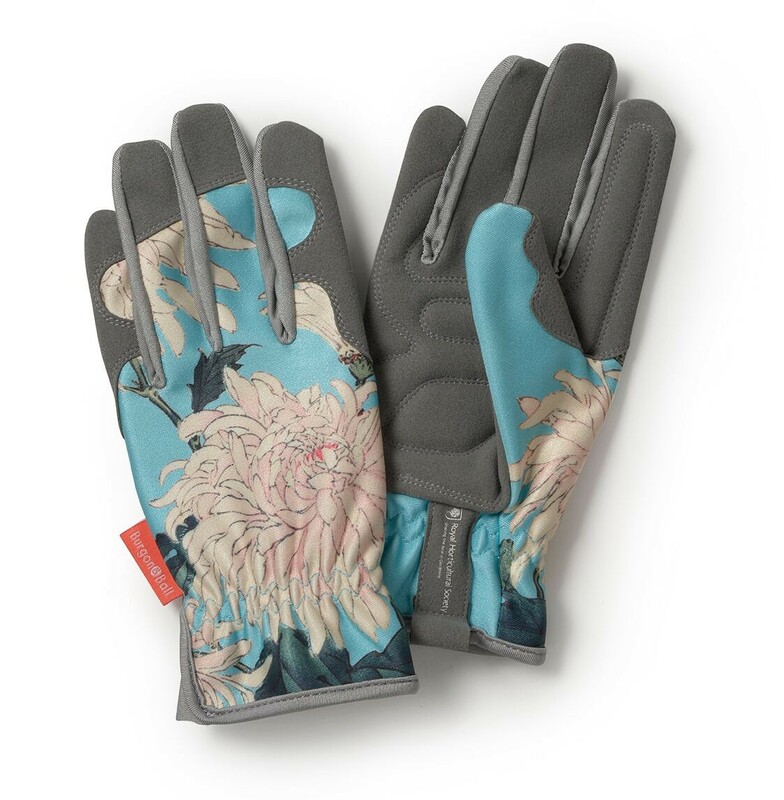 Gorgeously printed gardener's gloves featuring the dazzling Chrysanthemum artwork from the RHS Lindley Library. Cushioned palm and gathered wrist for comfort and protection. Soft, tough and hard wearing - a delight to wear!